The era of former Iranian president Mahmoud Ahmadinejad, also a former mayor of Tehran, is completely over. Ahmadinejad’s so-called spiritual mentor, Mohammad-Taqi Misbah-Yazdi (actually an extremely hateful individual), lost his seat on the Assembly of Experts, as did far right figure Mohammad Yazdi, the body’s sitting chairman. Not only that, but the 88-person Assembly of Experts, which chooses the next clerical Leader and loosely supervises the current one, now has a centrist majority, after a rout of the far right. 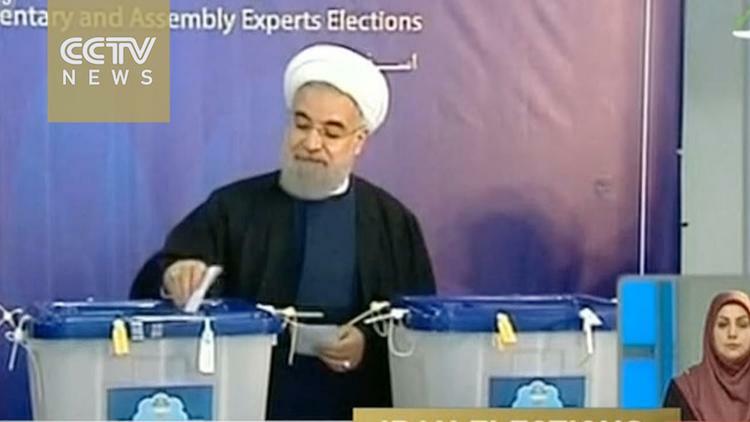 Rouhani and former president Akbar Hashemi-Rafsanjani were among the top vote-getters on this body. Some 57 other centrists and pragmatists joined them on the 88-member body. All 30 seats in the Iranian parliament representing the capital, Tehran, have been won by allies of President Hassan Rouhani. Some of the top vote-getters were from the list of former president Mohammad Khatami, who is to Rouhani’s left, though still a man of the Khomeinist system of clerical rule or theocracy. Khatami had led the 2nd of Khordad movement, supported by women and youth, which aimed at gaining more personal liberties and more freedom of expression. A little like Barack Obama, Khatami, whose second term ended in 2005, saw his movement constantly stymied, though in his case it was not obstructed by parliament but by far right elements in the unelected institutions of Iran, the office of the clerical Leader and the judiciary. While right wing and far right wing candidates did better in rural areas and smaller cities, there is a difference between the two. The centrists in Tehran need pragmatic conservatives to cooperate with them if they are to get anything done. If more practical and less ideological persons get elected elsewhere in the country, Tehran’s representatives can leverage those into a big tent and perhaps get some reform legislation passed. These developments matter because the far right MPs had been hostile to the UNSC nuclear deal, continue to be strident in their enmity with the United States, and sought to block the economic and cultural opening of Iran to the world. Especially European potential investors in Iran won big this weekend. “Reformist-backed candidates have secured a landslide victory in the Tehran constituency in the Majlis (parliamentary) elections while the only major conservative candidate, former Speaker Gholamali Haddad-Adel, is on track to lose his bid for re-election, the state-run rolling news channel IRINN reported on 28 February. According to the preliminary official results for the Tehran constituency announced by the election HQ, Mohammad Reza Aref, the reformist former vice-president, is in first with more than 1,280,000 votes. Haddad-Adel, the only conservative who was among the first 30 names announced yesterday, has slipped to 31st from 7th, the IRINN report added. Aref is followed by other names from the “List of Hope” – a title given to the pro-reform candidate list by former President Mohammad Khatami. Ali Motahhari, Ali Reza Mahjub, Soheyla Jelodarzadeh, Kazem Jalali, Elyas Hazrati, and Kazem Jalali stood 2nd to 6th according to the latest tally announced by the Elections HQ. The Twitter account of the pro-reform daily Sharq reported that all the names on the “List of Hope” have made it into the parliament according to the latest results.